The last word in quality. 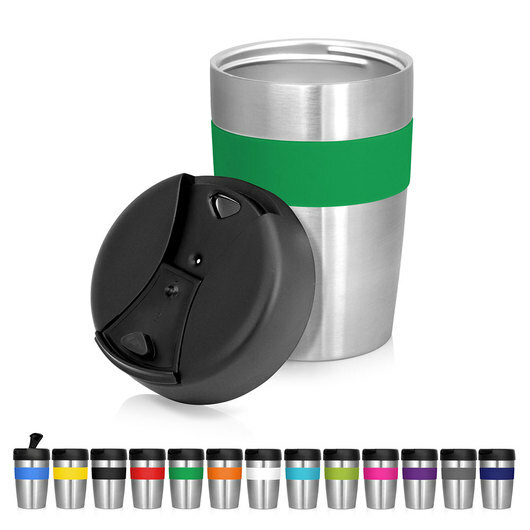 A stainless steel eco cup is the way to go! 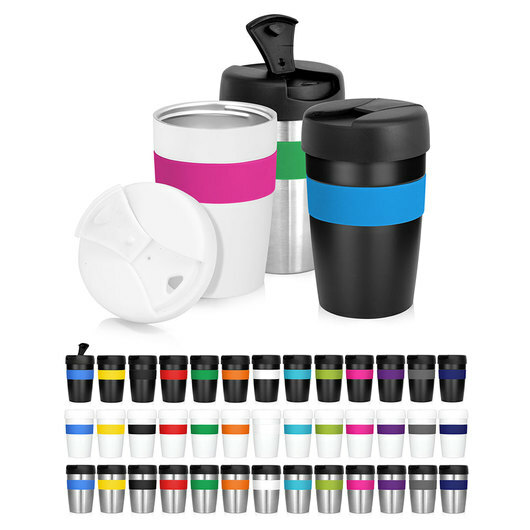 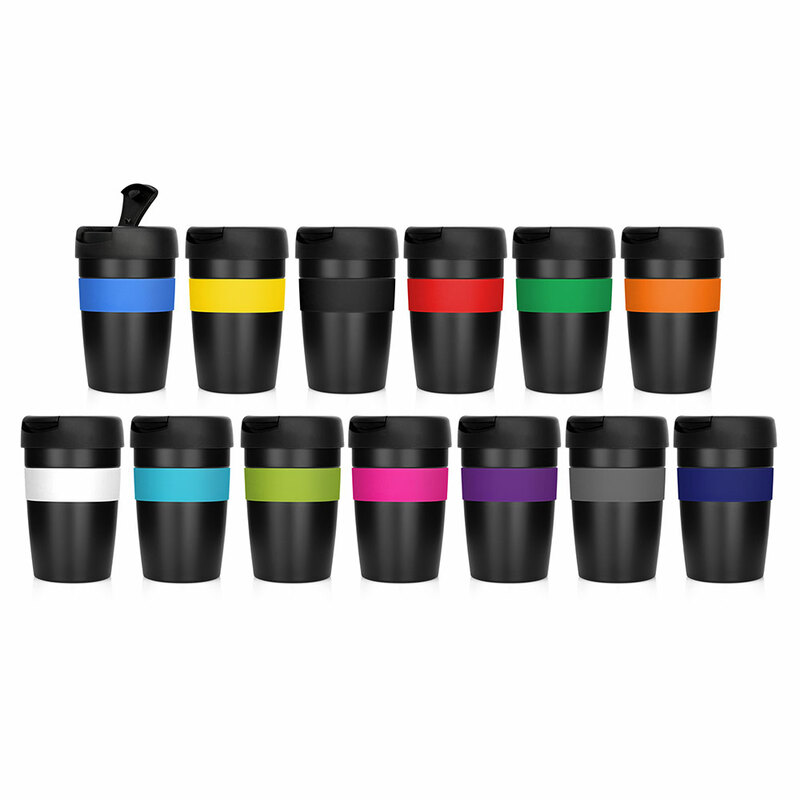 Stainless steel eco-cups are hot at the moment! 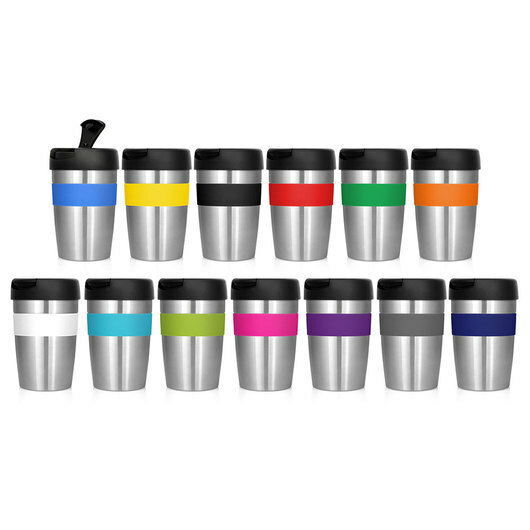 They have an extended useful life and promote sustainability, your logo and quality. 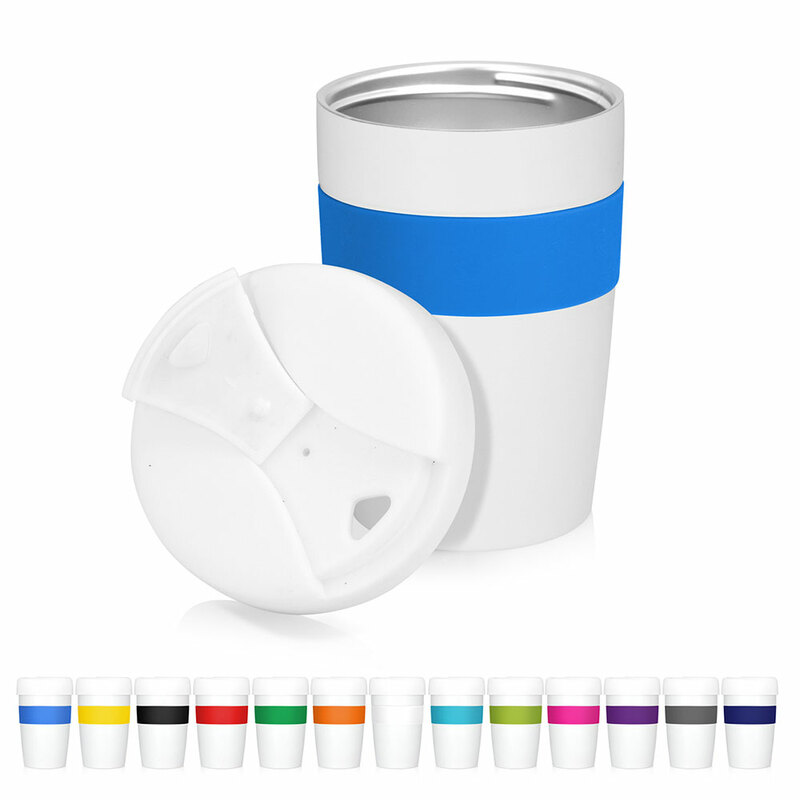 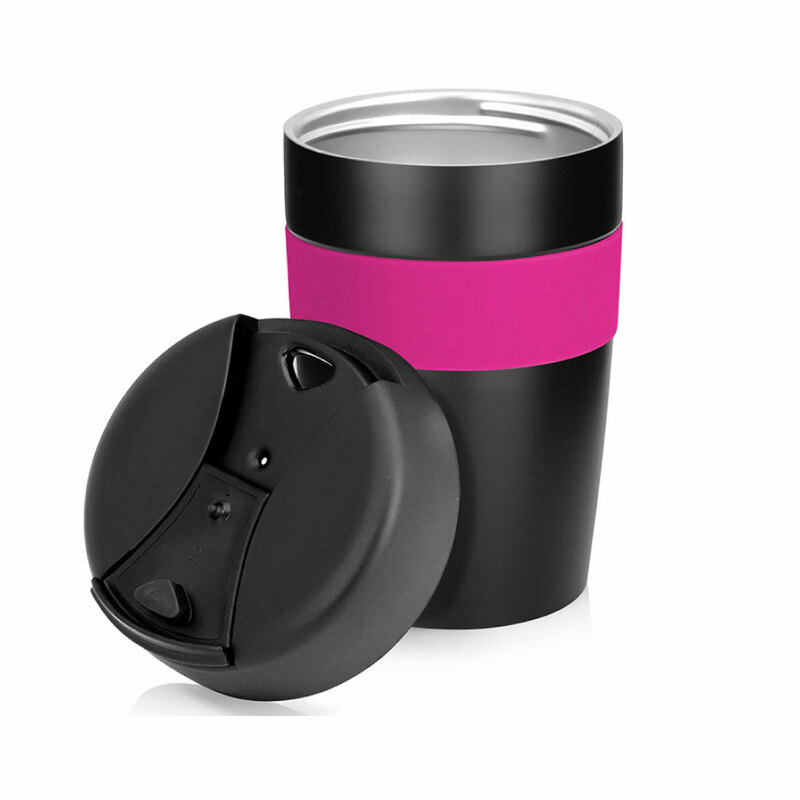 Featuring a secure screw on lid these cups are a brilliant gift for the modern person. 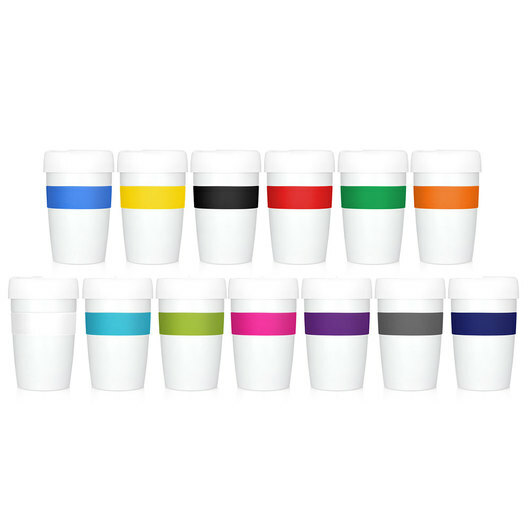 They can also be mix n matched with black, silver or white cups and band colours.